It was the first day my now-husband invited me to his apartment for dinner that I spotted the prayer mat. I prematurely thought to myself, “Oh no, he’s Muslim. I’m going to have to break up with him!” But, before you jump to conclusions, allow me to explain. My father is Christian, and my mother is Muslim. As a child, I frequently went to church with my dad, and also prayed with my mom. And, although my mother never converted—which was the norm in Nigeria, converting to and practicing your husband’s religion—she made sure my brother and I went to church every Sunday. She also passed down a lot of knowledge about Islam to me, not only through her words, but also through her actions. My mother never disparaged Christianity, and she made sure that I never spoke ill of Islam, either. So, why did I want to break up with my now-husband, then-boyfriend over religion? If I’m being honest, my parents’ marriage faced its fair share of challenges due to their religious differences. If you ask me, I think the reasons were predominantly fueled by the cultural expectation that the woman must convert. In the end, my parents ended up separating, and the fact that my mother never converted was given as one of the reasons for their split. In the midst of their separation, I vowed not let that happen to me. Then and there, I decided that for the sake of my future children, it would be easier for me and for the kids that I would bring into this world if the entire household had the same beliefs. That was that—no ifs, no buts. Then, I met my husband and it all changed. And, honestly, everything was going wonderfully until I found out that he was Muslim. I couldn’t help but let the negative questions creep into my thoughts: What would my family say, given the issues my parents had? How would we raise our children? Islam has gotten such a bad rap these days, I just couldn’t figure out how to explain to my Christian family and friends that I was dating a Muslim. Right before our next—and what I thought would be our last—date, I told myself we had only gone out twice, so breaking things off would be easy. While we were eating dinner, I casually brought up our religious differences and asked him if he would date or marry a Christian, to which he responded, “I don’t have a problem with it at all.” He also ever so casually mentioned that he didn’t think it was necessary for anyone to convert for their partner unless they were doing it out of their own free will. That was the part that changed things. I thought to myself, “Huh—That was easier than I thought!” So, we continued to date, but I remained cautious. Once the situation started to get very serious, I knew it was time again to talk about the future, specifically how we would raise our children, while practicing different religions. And, after a somewhat tedious, but enlightening discussion, we decided that our children would be raised as Muslim. 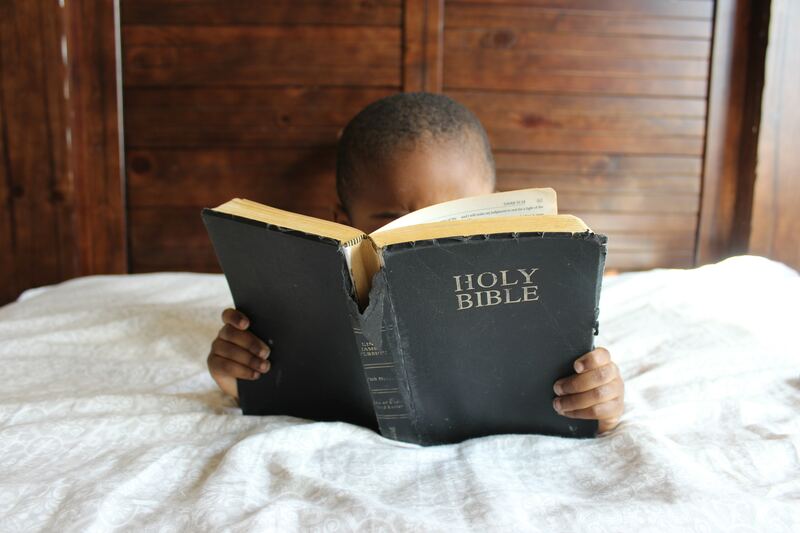 The main reason we decided this was that we believed young children needed a spiritual foundation. And, if down the road, they decided to convert when they grew older, we would also grant them the freedom to do so. I did have one condition, however: Once our children had grown old enough to understand, we would raise them to know and acknowledge the principles of both religions. We decided that neither one of us would force our religion on our children, nor would we speak ill of either religion to them. Although the difference in religion was a challenge in my parents’ marriage, I am thankful for the exposure and knowledge of both practices, for it made it easier for me to have such a spiritual discussion with my husband. I know that it may seem as though our decision is easy now that our children are still very young; they’re three and one. And, I know that when the time comes for us to introduce religion in a new, more enlightened manner, it may not be as easy as we may think. However, in the end, I also know that I am at peace with our decision because either way, our goal is and always was to raise children who love people regardless of their religion, just like their parents do.